It it just me, or is the world cruising by? Last year, my One Little Word was “make” and I did make a lot of stuff over the months of 2014. This year, for 2015, I have decided to “pause” and reflect a bit more. I am one of those “dive in and let’s see” kind of people, and sometimes, I feel as if it is too much. I am giving myself this word to give myself permission to pull back. I made this animated text over at this site, which is rather nifty. 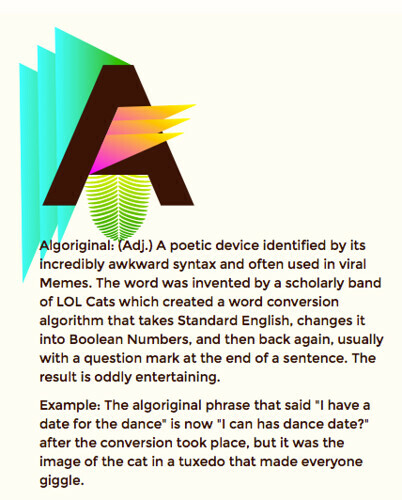 Here, as a final share, is my ebook of my invented Fictionary Project for the #nerdlution. I’ve embedded my little video in there, too. My invented words in a Word Cloud format. Today, I got to letter Z in my invented dictionary project for the #nerdlution. I’m calling it my Fictionary. Next up is to gather all of the words and pull them together into an ebook of some sort, if only to have all 26 invented words in a single place for me to remember what I invented. I am still plugging away on my #nerdlution resolution to invent and publish a new word every day for 50 days. Right now, I am on the letter “O” and as with last week, I am using Animoto to share out screenshots of all of my words so far as a way to keep myself motivated and updated. 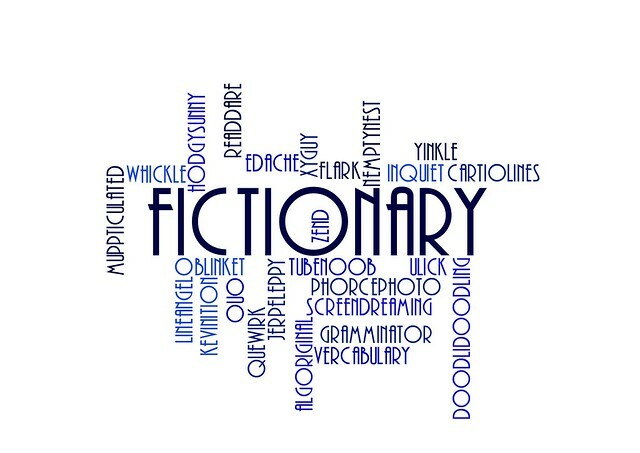 I haven’t been writing and blogging about it much but I continue to invent and publish a new word for my #Nerdlution effort to create a fake dictionary of made-up words. I’ve been using an app called Notegraphy for publishing because of its design elements, and I find my mind wandering in quiet times to new words. So far, so good. Today word — H — is named after my own name. The tricky part has been finding a balance between humor and insight. 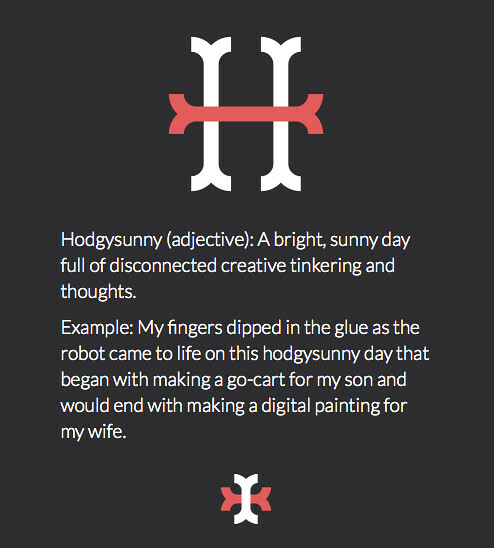 This video collects the words from A through today’s letter of H so far …. (This is a piece for Slice of Life with Two Writing Teachers). As soon as I hit the submit button with a comment for Maureen’s blog post about deep learning, I sat back and thought, Fifty Days. If anyone else were in the room, I would have high-fived them. As it was, the dog was looking at me funny, with a tilted head, but he just wanted to get fed. He didn’t realize that the Nerdlution project, which began back in early December, was officially over. I had spent 50 days visiting 50 blogs, leaving 50 comments (one comment per day, although the reality was that once I started the routine, the habit took over and I tried to leave more here and there). I’m one of those people who can’t quite let go of a project, so even though I know more than a few friends were not able to stick with it for a full 50 days (which seemed like a lot at the start and still seems like a lot at the end), I kept at it. It became a part of how I started my morning, looking for blog posts (ideally, via the #nerdlution hashtag but those started to run out on me, so I turned to related projects as blogs to read). My aim was to visit blogs that I don’t normally visit, and engage in a conversation with other teachers. I did leave comments but I have not had time to go back and see where those breadcrumbs of words have gone. In fact, early on, I began to worry about this — how would I backtrack? So, I began with a Diigo bookmarking group, and then started to think about how to visually capture my 50 paths to 50 blogs. I’ve always wanted to give Symbaloo a try, so that’s what I did. I set up a site, and began adding tiles every day as I left a comment. I’m happy the Nerdlution took place and I am a little relieved that it is over, as I move into a few other projects.